I worked with Roger at channel 11 and also at channel 9. At channel 11 I was doing “The Happy Hour with Fred & Friends” while he was doing his lunchtime show. Warren (Stellmacher) Martin, was our announcer. I was also a third string announcer in those days, so I often relieved Roger or Warren from their shifts. The WTCN days were almost always fun. During the school year our show was the top show in its time slot, and we always new we had a gratifying little spotlight on our efforts. “The Happy Hour with Fred & Friends” went on the air just after Popeye & Pete went off the air. There was a show in between us for about 3 or 4 months called “Sherry’s Wishing Well.” It wasn’t a very promising production, and we were welcomed into the fold. I was partnered with Henry Novotny (“Uncle Henry”). I was Fred and all the puppet characters. The set survived many years after that and was lugged all over the United States for stage shows and TV shows. It ended its life in the dumpster at KARE-11 in 1987. Pretty beat up by then, too. The year after we all got the ax at channel 11 (1974), Roger and I briefly did “The NEW Casey Jones Show” for a Sunday morning slot on channel 9. We shot two shows every other week in the channel 11 studios, with Tom Scott, my old director from “Fred & Friends”, directing. I was the sidekick, Charlie Caboose, and I brought with me a cast of puppet characters to interrupt the proceedings from time to time, too. I made my conductor’s hat myself, and bought my conductor’s coat from Rag Stock. Because I, too, had grown up with Casey, I considered that working with him was the highlight of my young career. Sometimes I think “The NEW Casey Jones Show” came and went so quickly that no one even remembers it. What I liked the most about Roger was what some people liked the least: he was always “in the moment,” and he was never “prepared.” Scripts consisted of hastily scribbled handwritten notes, simple lineups of what we would be doing for the half-hour. Of course, I would meticulously prepare and write out everything I was going to do, because I was just a young kid and didn’t know you could actually become a star by just being yourself. In that situation I was lucky because I had been there before. The material I had written for “The Happy Hour with Fred & Friends” was written to be done with a partner who at first was somewhat less engaged in the process than I was. I found that was an easy situation to prepare for as long as the straight man would cooperate by reacting genuinely and laughing in the right spots. 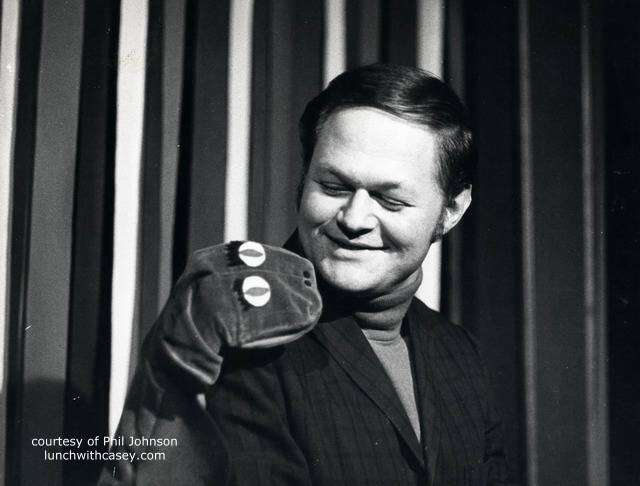 Roger was always genuinely tickled by the puppet characters. Maybe somewhat less tickled by me in the role of Charlie Caboose. Forgive me, I was young. 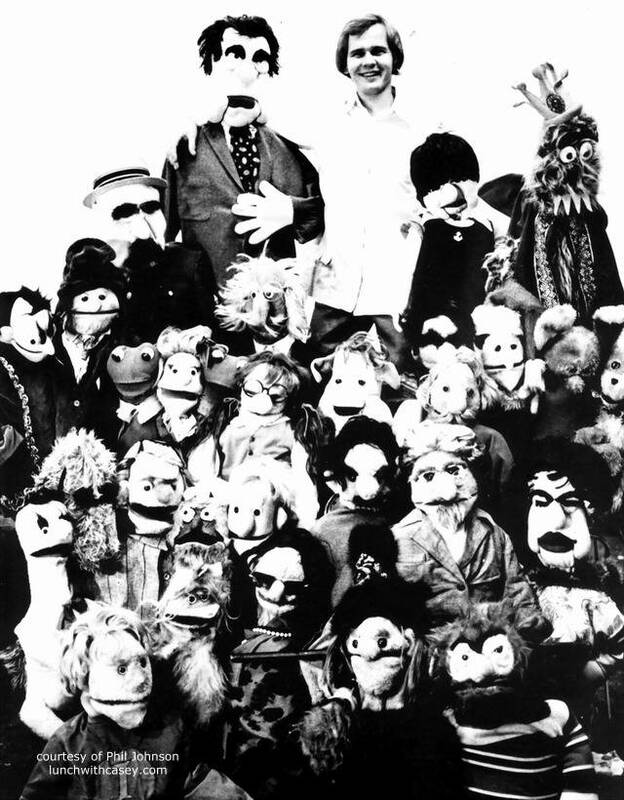 I remember how once he lost it totally on camera while he was talking to the puppets. Giggling uncontrollably, he sent us to a commercial, and tried to stifle his laughter. He leaned over the puppet stage and said, “I keep forgetting they’re not real!” His delight was genuine, and the fun was real. I ran into Roger at the “Strictly Business Expo” a couple of years ago. Yes, I have forsaken show biz for just plain biz. He hollered across the floor of the Convention Center, “Phil!” There he was in his train suit, looking (if I squinted) very much like he did 30 years ago when we first met. We chatted and he gave me one of his postcard handouts. His same old smile was still there, and he still remembered the fun we had together.